If you sign up by December 1, 2018, you will receive a 10% discount on your son’s camp fee. For single term campers who sign up early, the cost is $3,060.00, a savings of $340.00. 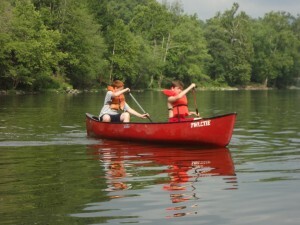 For full season campers who sign up early, the cost is $5,220.00, a savings of $580.00. Those who sign up early and who do not pay the entire camp fee when they sign up shall pay the balance in three equal installments: by January 15, March 15, and May 15, 2019. Brothers and 15 year olds receive a 5% discount whenever they sign up. Contact the camp office for details. If you wish, you may pay the entire fee when you send in your son’s application. Otherwise, you should pay the balance of his fee, the total less the $300.00 deposit you have already paid, by May 15, 2019. We accept Visa, MasterCard, & American Express, personal check or money order.